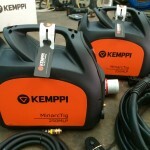 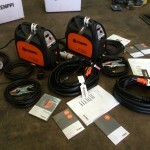 Kemppi make incredible welding machines and are an amazing manufacturer. 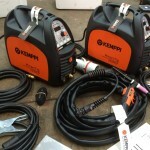 They are high tech, high end machines with super economy when it comes to saving on electricity bills. 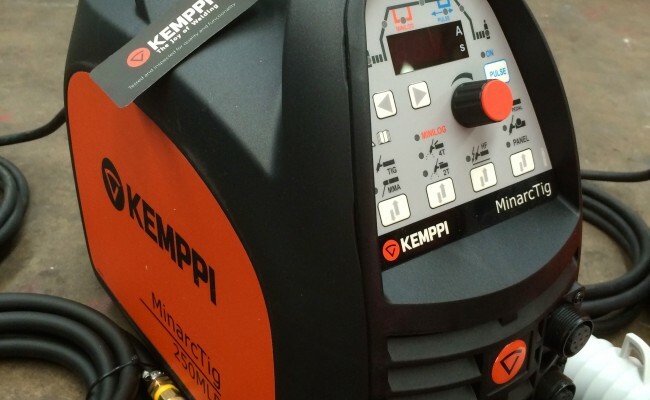 The Finnish have made a superb machine here in the MinarcTig 250 MLP and we love it here at Spectrum. 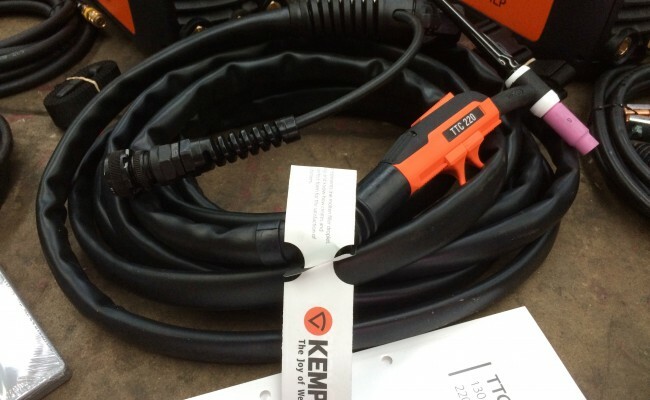 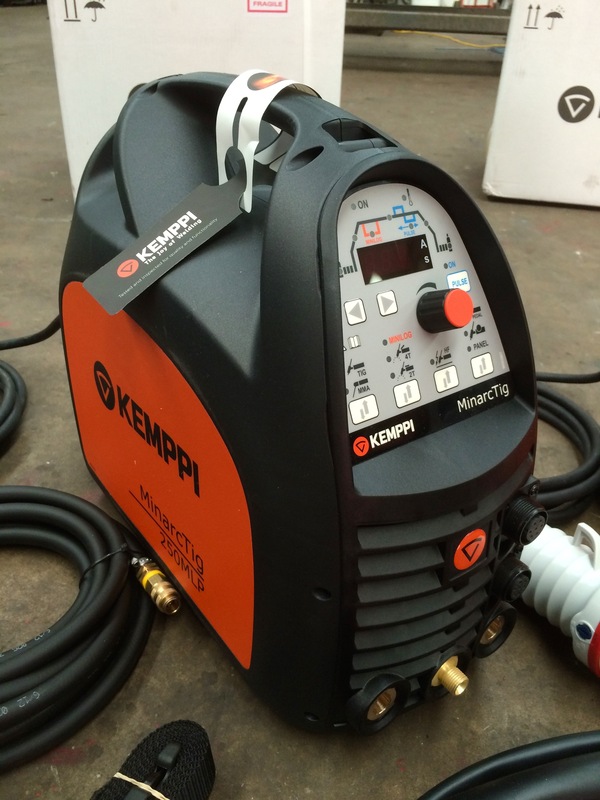 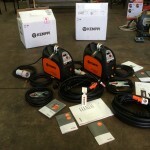 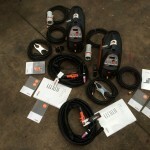 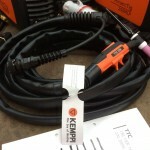 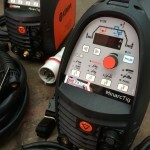 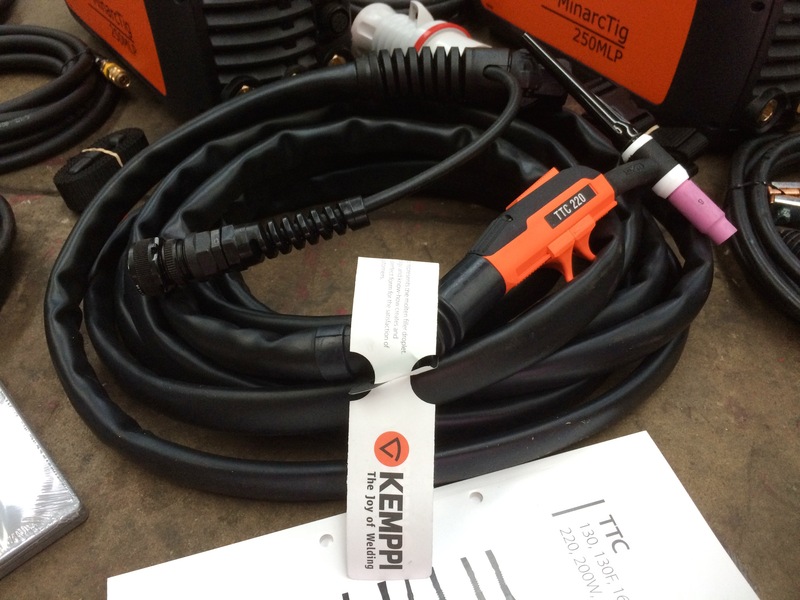 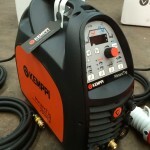 We have sold and hired out all makes, models, sizes and shapes of machines and this DC Kemppi is up near the top of our list for best site TIG welders. 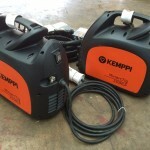 They are ultra light weight, robust at the same time, have genius arc characteristics are is simply high high quality. 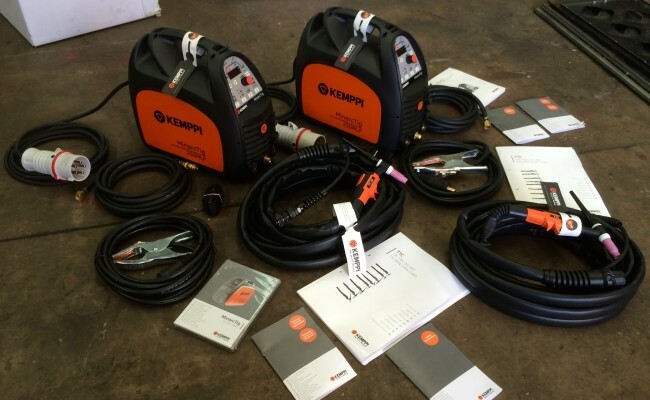 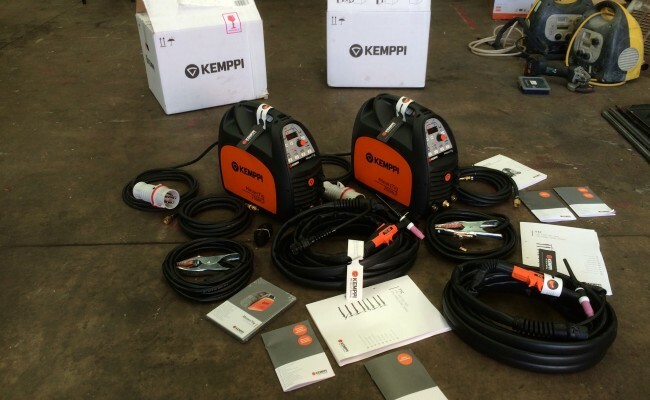 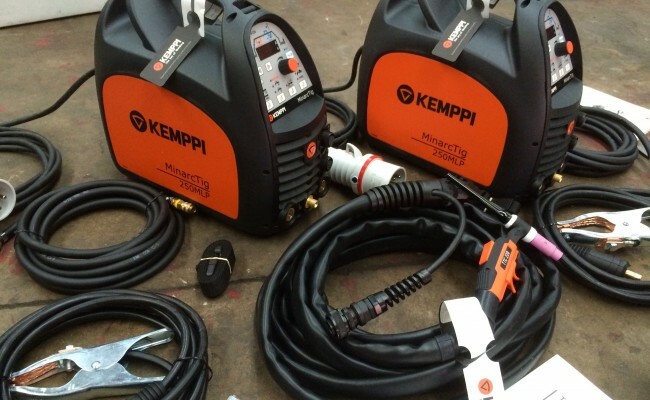 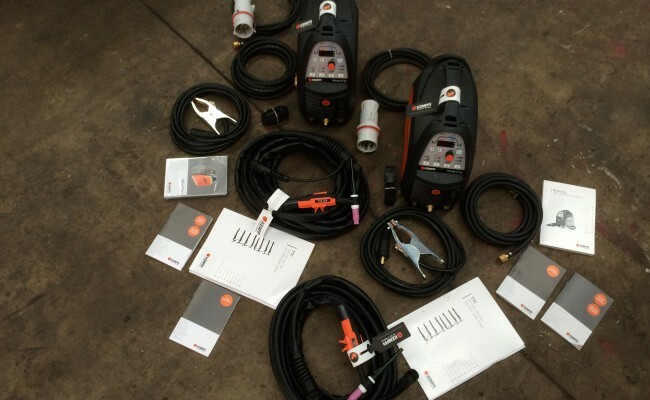 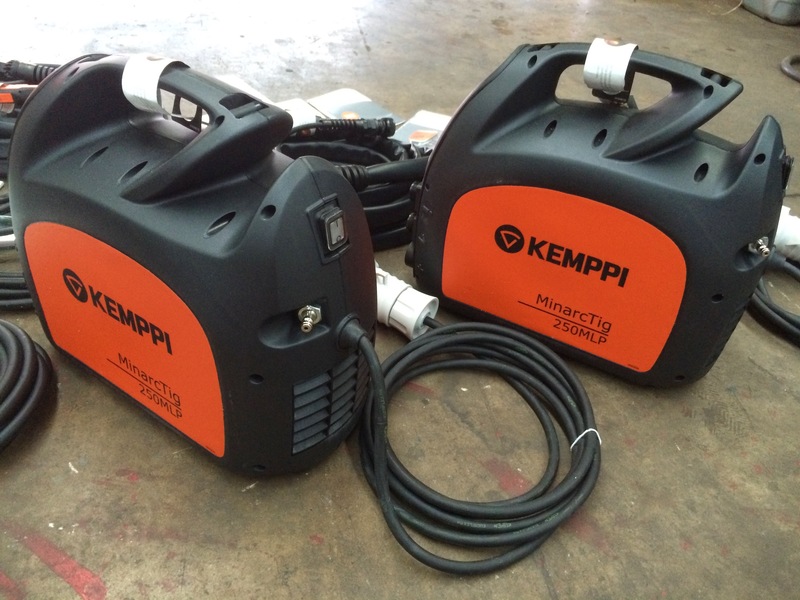 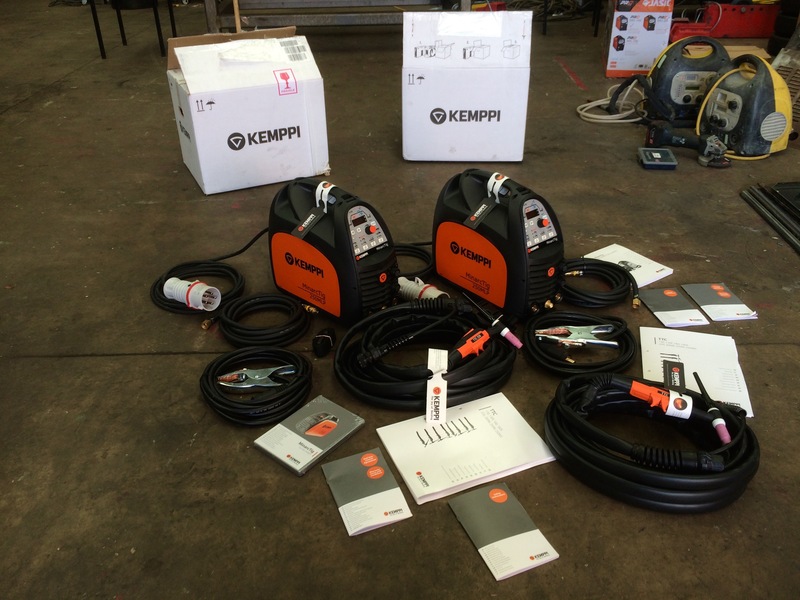 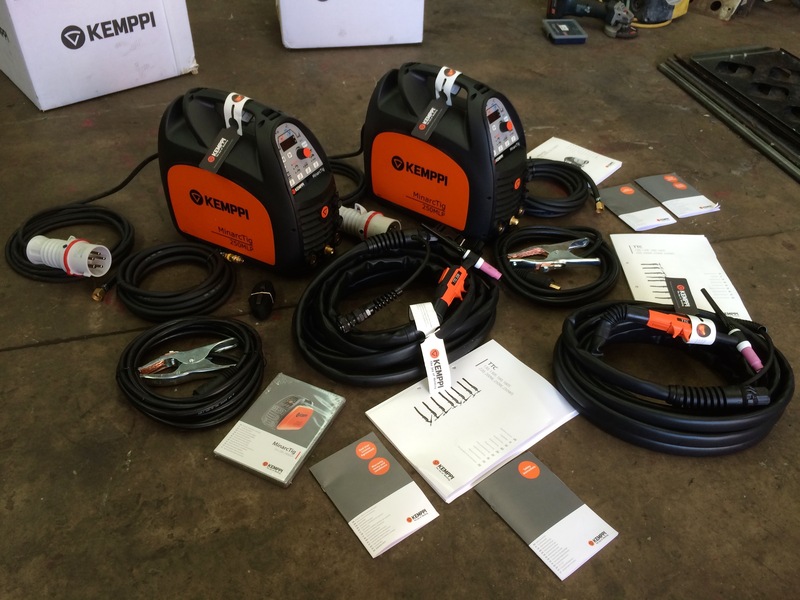 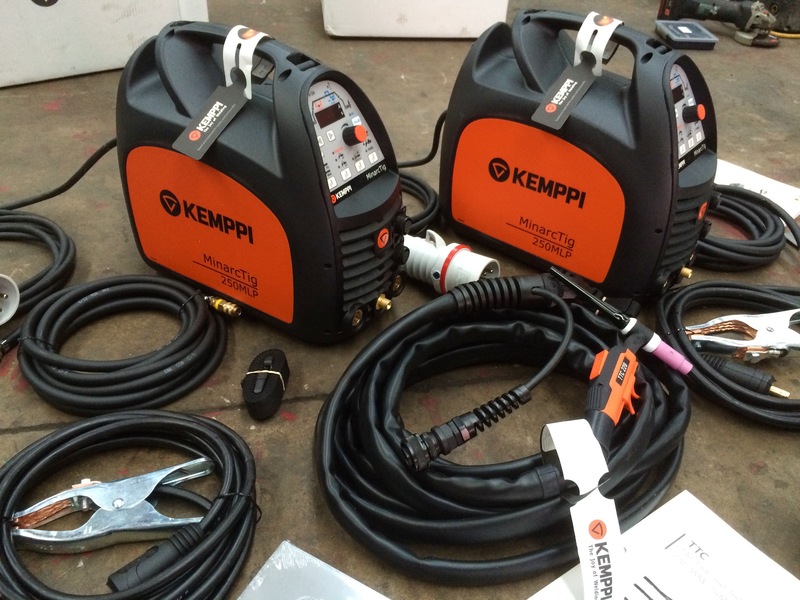 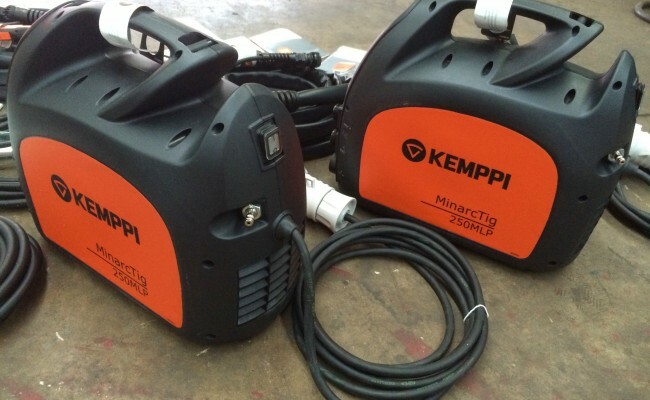 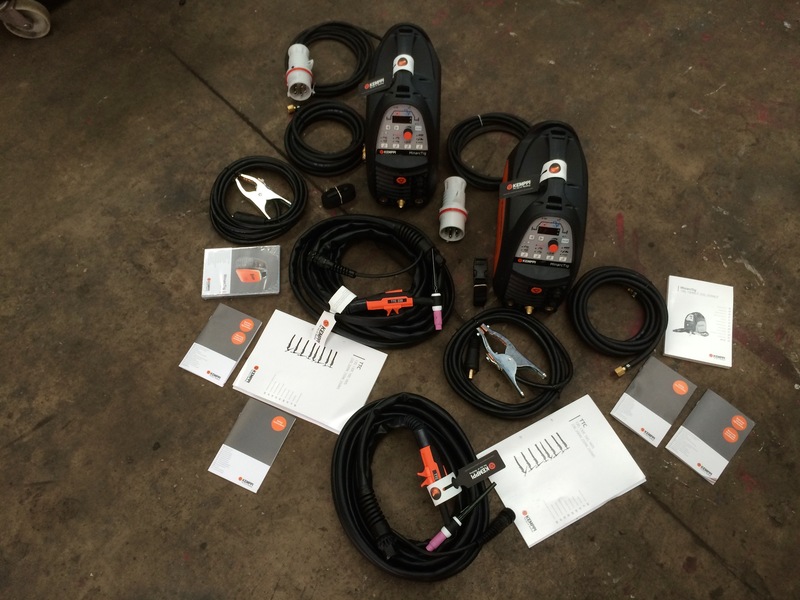 These machines seen in the photos are just 2 of our many DC Kemppi welding sets, with these having been fitted with genuine Kemppi 8 meter TTC220 (WP-26) Flexi Head torches, which are some of the best TIG torches you can buy. 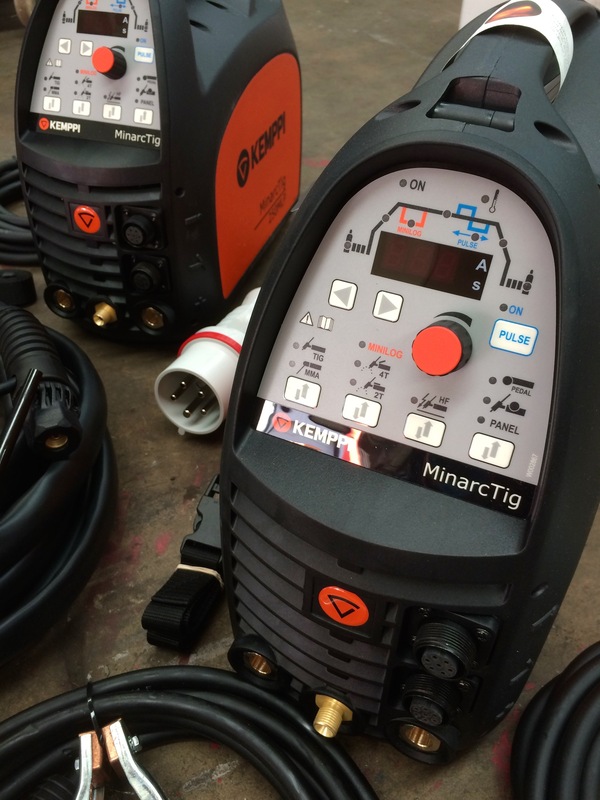 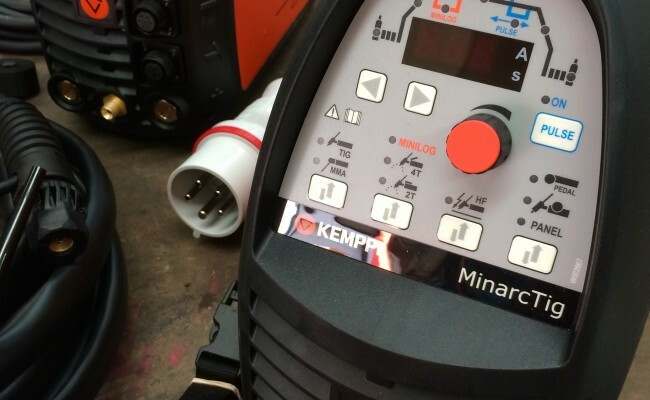 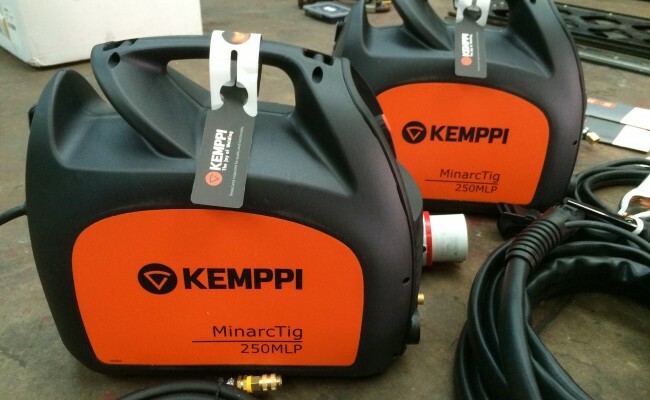 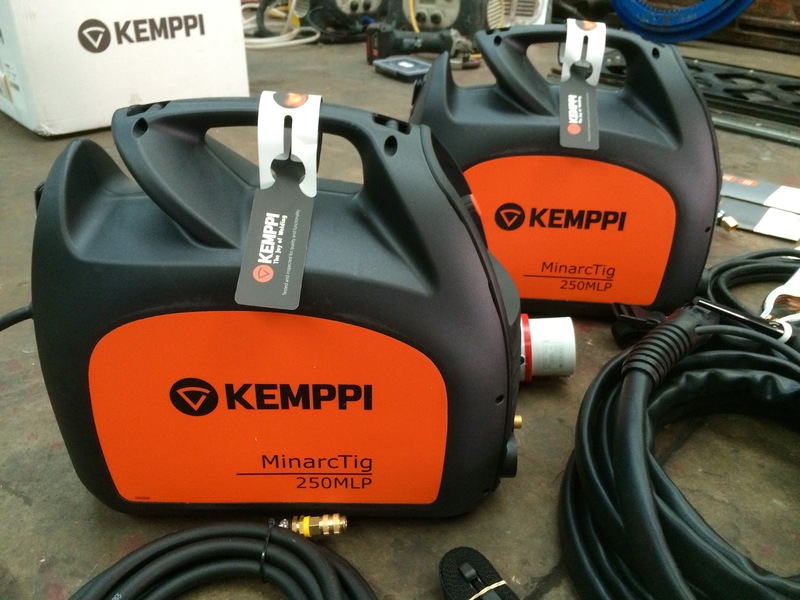 The whole package deal is very impressive and we have been using these MinarcTig 250 MLP as part of our hire fleet now because Kemppi are so reliable.